Our professional quizzes have almost unlimited uses, from charity events to team building exercises, the possibilities are endless!! They can even be presented in between the courses of a sit down meal at any event, setting the tone and acting as an "ice breaker" between people that may not yet know each other. 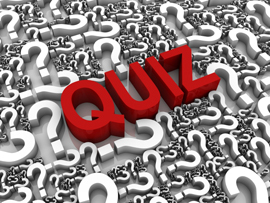 Quizzes can be fully tailor made and corporate branded. Music or music videos can also be played in between rounds. Other additions to any quiz can include a fun bingo package, games of "play your cards right" with giant cards, or our open the safe game. Alternatively you can mix and match any of the other services that we offer to integrate with your quiz. 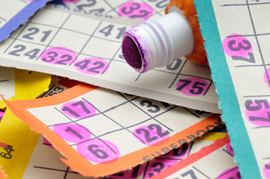 Through our specialist software we can offer you a variety of bingo games all of which are shown on a big screen. We arrive with all the pens, sheets, staff and PA system needed to play, all you need to supply is the prizes!! The big screen shows every number as they are read out by the bingo caller, to ensure everyone can both see and hear the numbers clearly. In between the games music videos can be shown on the large screen to keep the event flowing. Bingo can be booked individually as an afternoon or evenings entertainment or as part of an addition to any one of our other services. This can be played in any mixture of 1 line, 2 lines and a full house. We can even add in a "snow ball" where an extra prize is won if the full house is called within a designated amount of numbers. Played in most bingo halls within the UK (often called cash line bingo) the tickets are marked out in lines of colours and numbers. Games can be won with any line up, across, diagonal, four corners or four centre squares. (often reffered to as Irish or stand up bingo) this game offers a slightly different dimension to the normal game of bingo. No pens are needed, instead every player stands up, the numbers are read out, if the number called appears on your ticket then you sit down. The winner is the one left standing that has had none of their numbers called out.